In 1955, Yoshimitsu Yamada was accepted to the Hombu Dojo uchi deshi program (live-in apprentice) at age 18. He studied directly under the founder, as well as Kissomaru Ueshiba, Koichi Tohei, Kisaburo Osawa and other legendary masters. 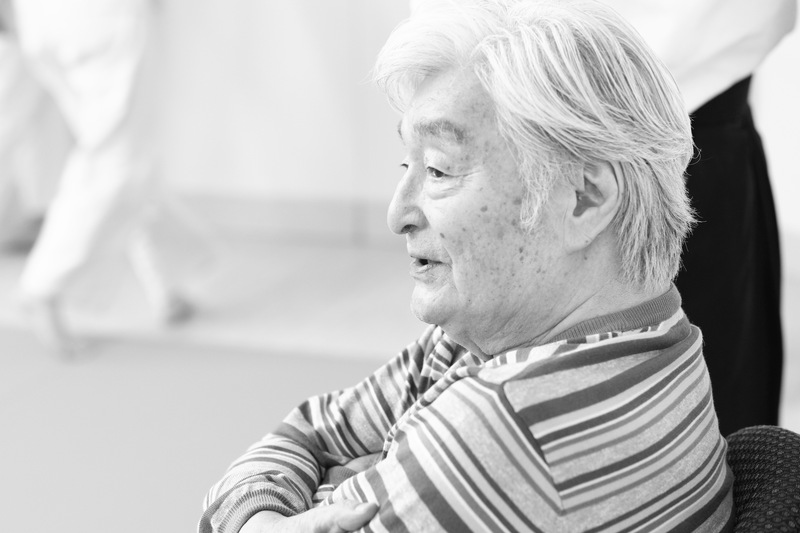 Yamada Shihan (8th dan) came to the United States in 1964 and has been one of the most important and influential instructors and ambassadors for the art of aikido in the United States and across the globe. He is chief instructor of the New York Aikikai and chief instructor and technical director of the United States Aikido Federation, the largest aikido organization in the United States. 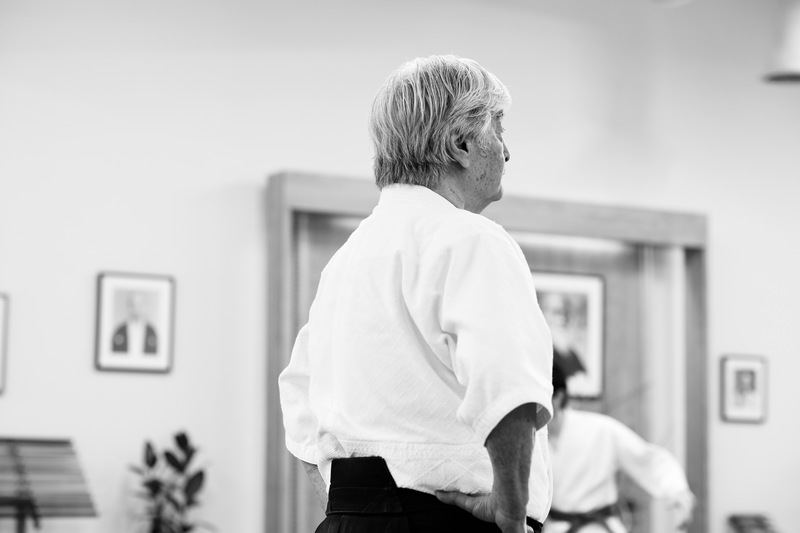 In March 2019, Yamada Sensei sat down with Josh Gold to share his thoughts with the Aikido Journal community. Josh Gold: Thank you for taking the time to speak with us today, Sensei. Yoshimitsu Yamada: My pleasure, Josh. First off, I’d like to ask about Morihei Ueshiba. There aren’t that many people around today who have had direct training experience with the founder of aikido. What was it like being thrown by him? Well, first of all, not too many people had the fortune to take his ukemi, and even for me it was rather seldom. But when you … I don’t like to use the word attack, when you try to grab him or whatever, it was like grabbing air or smoke. It felt like he just wasn’t there and then you’re on the ground without realizing what happened. It’s very difficult to describe. His movements were very natural but very elusive. That’s an interesting description. I’ve heard Ueshiba was physically very strong — built like a tank. I believe he was close to 170 lbs. and only a little over 5 feet tall. That’s what I was told and you can certainly see it if you look at pictures when he was young. He was very muscular. But at the time I knew him, I was a 20 year-old kid, so he just looked like an old man to me, even though he was younger than my age now (laughter). He was usually very mellow, but he sure could have a temper sometimes. My uncle, Tadashi Abe, and others would often talk about him and some of the descriptions were really frightening. But most of the time when I was around O-Sensei, he was just a nice old man with a really good sense of humor. However, sometimes, once in a while, he would lose his temper in a pretty extreme way. That was really scary actually. He was a very kind and compassionate person and that’s one of the reasons he was so respected. But sometimes he would just lose his temper. And this actually was fine. It made me realize he’s just a human being like the rest of us. I don’t like how some people think of O-Sensei as some kind of a god or saint. I’d rather see him as a human being. Sometimes mad, sometimes sad, sometimes smiles. I don’t want to make him like a god. I think that’s a great perspective. Some people do seem to deify him, which I believe creates unhealthy cultural dynamics in the aikido world. I also think it psychologically limits some people as they start to believe that his level of skill and understanding can never be matched — that we’re all destined to just be watered down, or inferior versions, of the founder. I agree. I’m not O-Sensei, but I don’t want anyone to think of me as a god or some special being. Come on, give me a break. I’m just a human being. I get mad, I cry, I make mistakes. I have flaws just like everyone else, including Morihei Ueshiba. Let’s transition a bit and talk about your work in building the aikido community in the United States. When you came to the continental US, there was almost no aikido presence, right? Almost nothing. That was 55 years ago now. There was only aikido in Hawaii and a little bit on the West Coast. Almost nothing on the East Coast. 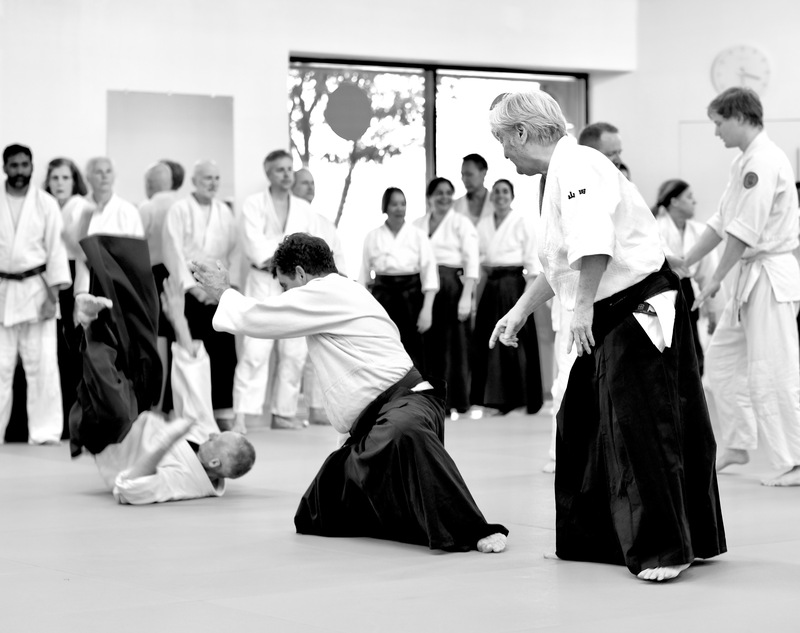 Yoshimitsu Yamada at Aikido of Scottsdale. Over the years, you built up a loyal following and a large organization. The largest in the United States actually. How did you go about building that up, increasing awareness, and getting people excited about aikido ? Well, it wasn’t only myself. I really have to give a lot of credit to Koichi Tohei. Regardless of what happened between him and me; he was my teacher and I was his student. We owe him a lot. At the time, there was no internet, no video, nothing. One of the main ways people would find out about aikido would be through his books. And he was very charismatic, very strong physically, and very strong mentally. Of course, just like everyone, he had his bad points too, but we should never lose respect for the great contribution he made in spreading aikido. I agree with you Sensei, but you also made huge contributions yourself…. Well, I don’t know. I think a lot of it was just good timing. At that time, all of the Japanese martial arts were experiencing a rise in popularity. We especially owe a lot to karate. We really rode on the wave of their growth, you know? Skip Chapman Sensei, co-teaching with Yamada Sensei at Aikido of Scottsdale. At that time, karate was becoming quite popular and they had tournaments almost every month. Every time they had a tournament, they would ask me if I’d like to come demonstrate. So everyone would be at the karate tournament, and even if you love karate, you can get a bit bored watching the same thing for two hours straight. Then during the intermission, I’d come out and do an aikido demo. For 10 minutes, I’d show something that looked so different from karate — it really amazed people. Then I’d disappear, and people would wonder, “What was that?” Sooner or later, people would start to seek us out. At the time, it was a good way to generate interest. I’d let them worry about finding us, let them think about it, and wonder about what we’re doing. I never explained anything about aikido during those demonstrations. I just performed high-impact demos leveraging someone else’s events. In a way, it was really good. Sounds like a clever way to tap into receptive audiences. Yes, maybe because of my personality, the karate people really liked me and were happy to give me the opportunity. But it was really nothing special in terms of a strategy. It was still very difficult in the beginning. Everywhere I went, no one had money. I had to take Greyhound buses everywhere. I’d travel to Florida and other places, and it was a really lean time. No money. That’s just what it was. The aikido society was small at the time and no one was willing to pay much for seminars and instruction. But that was the only way at the time. At that time, did a lot of the people who came into aikido have experience in other martial arts? Oh sure. Lots of karate and judo people. It was really nice. I think aikido fit the mentality of the judo people a little better, but it was great to have people with other backgrounds coming into aikido. On a related note, what do you think about aikido instructors who cross-train in other martial arts? Do you think that’s a good idea or a bad idea? For example, do you think it would be good for some aikido instructors to learn basic concepts and techniques from judo, boxing, or other arts? And to be able to interact with, and get feedback on their aikido from instructors in other arts? Sure. I think it’s really up to the individual. Anything that can help you learn and grow is good. I learn from my students quite often, for example. You have to be humble and have an open mind. Find your own way to develop yourself. Oh, Bruce. He started when he was a kid. When it comes to different kinds of people and practice — I don’t care. I don’t want to put people in a certain category. I respect individuality. As long as the fundamentals are common, everyone should have their own expression of aikido and their own ways of practice. As long as there’s a common basic foundation, you should come out different. You have to be different. I respect, and almost demand, individuality. I don’t like people to copy me, or to try to be a copy of me. No way. Ed Baker and Lien Pham, Aikido of Scottsdale members. You’ve been doing aikido for a long time. In your career, what do think of as the high points and low points? Yeah, I’ve been doing this for too long. People won’t let me quit (laughter). In terms of highs and lows, this is a bit of a touchy subject. 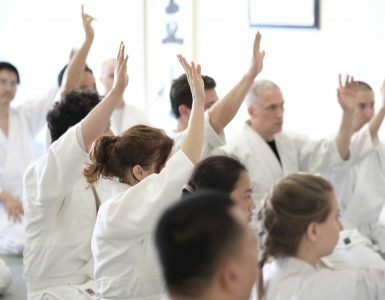 I’m very happy in the way aikido became so popular so quickly, but in a way, I feel something is off, because now so many people are involved in teaching aikido who maybe shouldn’t be. I’ve heard some senior people say that maybe 60-80% of people who are teaching aikido now shouldn’t be. In a certain sense, I feel same way. A lot of the good things about aikido are also bad points. That’s why we’re in such a difficult position now. 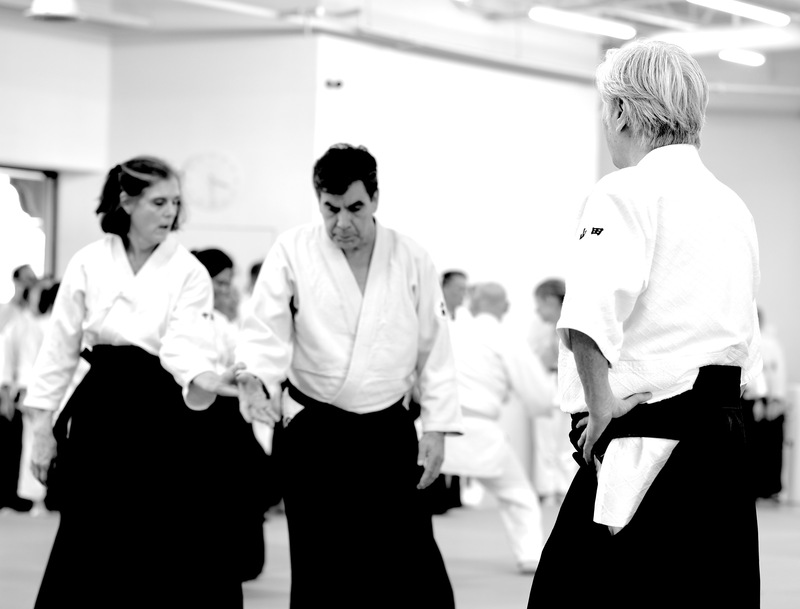 Because aikido is very open to everybody, everyone can do it their own way, and if you want, you can teach almost immediately with little quality control. We ended up with too many instructors too quickly and this impacted the overall quality of what we are doing in the aikido community. Because there’s no competition in aikido, it’s quite difficult for people to measure or gauge skill or test the quality of various technical approaches. This is one problem. I often think that one of the greatest things about aikido is its absence of competition, but it’s also one of the worst things from certain perspectives. Right. That’s a good thing about aikido, but it also creates trouble. Bad instructors can still retain students and that’s not great for the art. In other arts, you can test and compete together to find out both who is better technically and who is a better teacher who can raise better students. But aikido is different. Actually, we cannot do this. People just say, “My aikido is different,” but there’s no reliable way to measure teaching skill and technical skill. Leading class at Aikido of Scottsdale. Do you believe the aikido ranking system is a reliable way to represent instructional or technical skill? Well, that’s another big subject, the ranking system in aikido. I don’t believe it. O-Sensei didn’t believe it. He never had a system. I think that once you get a black belt, that’s enough. I don’t think there’s a need for dan numbers. Instead of numbers, maybe you can use titles like Hanshi, Kyoshi, whatever. I don’t go for this numbering system. People’s rank has little to nothing to do with quality levels. And aikido is to supposed to have no competition, but give me a break, the ranking system creates huge competitive dynamics. 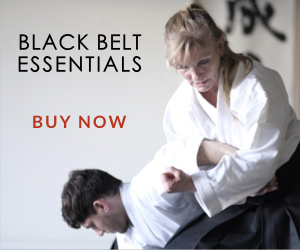 For commercial reasons, black belt is important, but when you reach black belt, that should be it. This is just my opinion, but many people might agree with me. It’s a touchy subject though, so maybe that’s why more people don’t speak up about it. What are your thoughts on the future of aikido? Many people ask me this and I often say, “Excuse me, but unfortunately, I’m very negative about the future right now.” The way things are, I’m not terribly optimistic. I appreciate your openness to discuss this. I think it’s important to have an open dialogue about it if we want to make things better for the future — to change that trajectory. I hear the aikido population is now decreasing, is that true? We have access to quite a bit of data and it does look like interest levels have dropped dramatically and newer people coming into the art has dropped off significantly. A lot of dojos won’t feel the full impact of this yet because a lot of the same old-time practitioners are still in classes, but fewer and fewer beginners are coming in, so they just see a slow aging and shrinking of the population. But when the current generation of experienced practitioners is not around any more, we could very well be left with a huge vacuum. I don’t think we need to panic and things won’t fall off a cliff tomorrow, but we need to start doing something differently if we want aikido to be around in a meaningful way for the next generation. Well it’s a good thing that you’re collecting information about this because I don’t think anyone else is. I don’t know if it’s good or bad that we shrink. But one thing is for sure — there aren’t many people left who had direct experience with the founder. I hope people will make the best of the opportunity to get information from us before we are all gone. 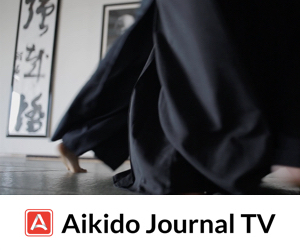 What are your thoughts or ideas on how we should move things forward to create the best possible future for aikido? I’ve thought about it, but I don’t really have any solution. I’ve been building the aikido society here for 55 years now. Maybe now it’s up to your generation to figure it out. Glenn Brooks Sensei, dojo-cho of Aikido of Scottsdale. Optimistically, I do think there are a number of people ready to rise to that challenge. People who have access to great mentors like yourself, and who also have passion, ideas, and the skill to make a difference. Let’s transition to a lighter topic. Do you have a funny story you can share with us? Thank you for sharing that, Sensei. The story made me smile. 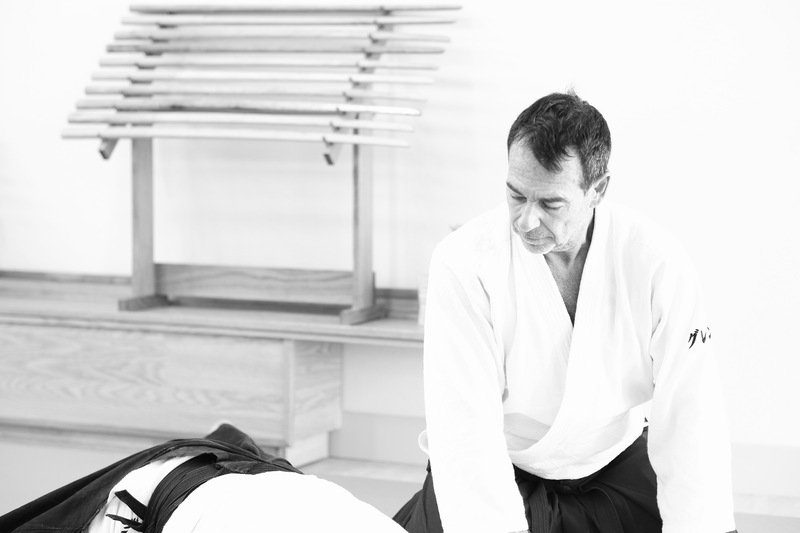 Do you have any final thoughts or message you’d like to share with the aikido community? For all practitioners, I’d like to say that aikido is a very unique martial art and I hope you enjoy its practice. But my main message is for instructors. To the instructors, I would say strongly not to sit and relax. You are still on your way. Aikido is an endless study until you die. Please improve yourself, not for yourself but for your students and for the art of aikido. This is your responsibility. Take it seriously. Special thanks to Glenn Brooks, dojo-cho of Aikido of Scottsdale, for hosting the interview during his March 2019 seminar with Yoshimitsu Yamada and Skip Chapman. Great to know the current ideas and thoughts about Aikido practice from someone like Yamada Sensei. Thank you for the great intervew. Great article. Makes me sad to see Yamada Sensei getting on in age. In my mind, he is such a giant of Aikido in North America. 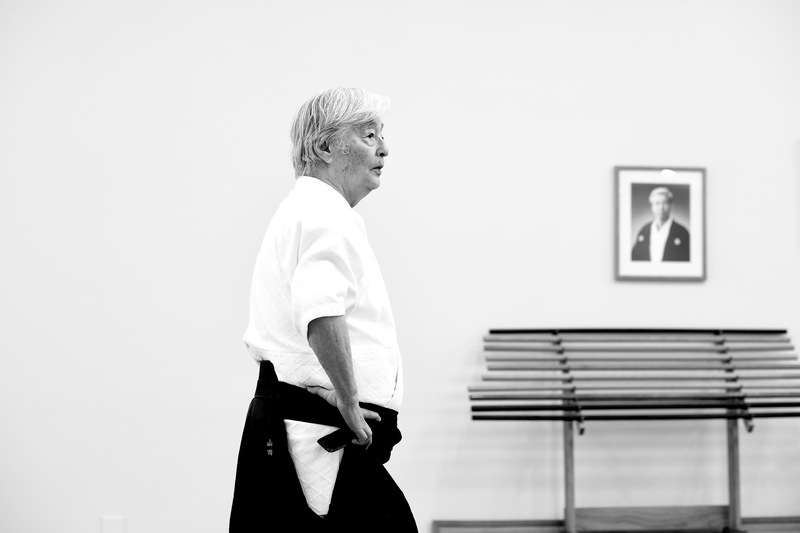 When I first trained at his seminars during the eighties at the New England Summer Camps, I was happy to see how he reflected both the hard and soft styles of aikido. I live in Fredericton, New Brunswick, Canada, just north of Maine, My former teacher of 24 years, Massimo di Villadorata Sensei of Montreal, is student of Yamada Sensei. – Allowing a form of competition based on points similar to how it is done in figure skating. 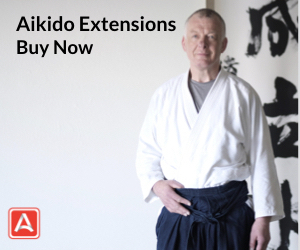 Aikido has a lot to offer but is for the most part invisible to the public. Holding competitions would help attract more young students, increase the visibility of the art, and help aikido evolve. The more talented students would inspire us all and help move the art forward by introducing new ways of doing old techniques. I do not have all of the answers but is seems clear that a change needs to happen if aikido is to attract a new generation of practitioners. Maurice, a forms competition with a team of shidoin judges sounds intriguing, actually! Very interesting! Thanks for the comment. 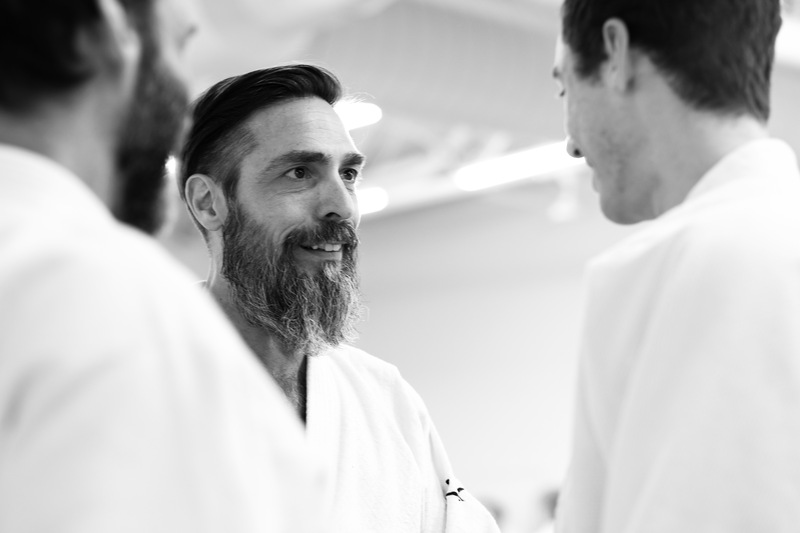 Forms competitions would be a good way to bring practitioners together, create a greater sense of community, generate visibility for aikido as well as interest from a new generation of practitioners. The most successful practitioners would over time influence the future development of the art I believe in a positive way. Absolutely. My truest hope is that Aikido continues to grow and expand into the future. I truly hope we figure out how to implement stronger quality control among instructors and come up with great ways to get more young people involved in Aikido. Whole new level of respect for Yamada Sensei. Always respected him, but some of his senior students would mislead the younger ones into believing their ideas about aikido in his name. It was refreshing to see him have NO OBJECTIONS to students training in other arts. As I have received a less than positive reaction from other aikido practitioners about trying other arts. It was beautiful to see him acknowledging that the lack of competition has allowed watered down teachers to succeed in this art. Feelings I have been wrestling with recently. to him, tend to put their own spin on Yamada Sensei’s opinions. 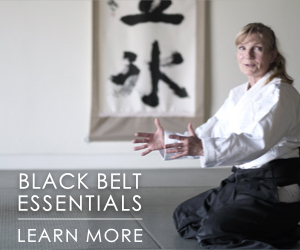 A single black belt sounds like a great idea. Part of being a black belt, as I understand it, is humility, humbleness, patience, kindness, willingness to continue learning, and sincere practice. Mauro, you are most welcome. Great to meet you here and thank you for your support. Glad you enjoyed the interview. I think Yamada Sensei had some great things to share with the community. I’m wondering what are the key things that make Yamada Shihan negative about the future of aikido. Is it only the poor quality instruction and unreliability of the ranking system or is there something else within the organization of aikido that made him less than optimistic. Did he care to elaborate? Nevertheless I enjoyed reading this interview. It seems to also be the flow of a new generation of students. I enjoyed this interview and loved how Yamada-san comes across as a humble human being. 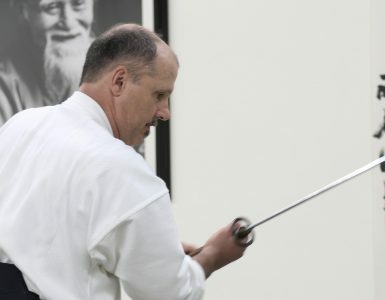 I loved his reiteration of the phrase “give me a break!” I am in two minds about the so called “crisis” in aikido: numbers dropping off, the aging of members, the lack of skill among instructors, etc. In a way, aikido is about “endless learning” and in a non-competitive atmosphere where ‘love’ can flower. If so, aren’t we all growing in our own way… in the strength of love…? Technique is not everything but only a conduit for the spirit. So, when and where the spirit is true, real learning does take place that isn’t second-hand. Technique suddenly improves..! I agree with Yamada sempai about the need to “keep learning” to fulfill our mission on earth, and I think his dream with O-Sensei in it contains a message for us all. Aikido is one of the hardest martial arts I have ever learned and maybe it is meant to be this way. The very fact that it is a puzzle keeps it interesting. It is a daily struggle to unpack what love means. 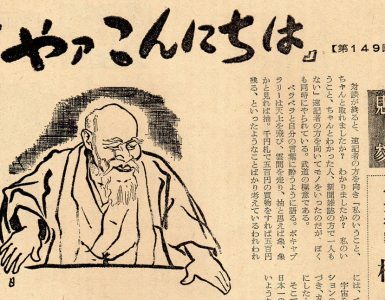 And maybe, just maybe, if LOVE is as great as O-Sensei claimed it was (The Great God of Harmony: or “Aiki-O-Kami”), then it would necessarily mean that we would struggle all our lives to understand it. If love was easy, we might have moved on to something else long ago. Isn’t that so..? The greater the climb, the better the view. Thank you for such a wonderful interview. I took the opportunity to translate it into Spanish, to help promote information to aikidoka in Venezuela interested in reading articles and other literature on Aikido. I would like to post your interview on Facebook with your permission and the translation as well. In private I can send you the translation to your email for your attention and approval if possible. Translating is part of my job as an assistant in the Embassy of Japan at Caracas, and I’m always glad to be of help to my fellow aikidoka in Spanish-speaking countries. Looking forward to your comments on this request.